Bus Éireann operates City & Town bus services in Athlone, Balbriggan, Cork, Drogheda, Dundalk, Galway, Limerick, Navan, Sligo & Waterford. Over twenty million customers travel with us every year to avoid the hassle and expense of driving through increasingly congested streets. That’s over twenty million connections by passengers to work, college, shopping, appointments, leisure, and whatever is important to them. With Leap, you can also connect to 30% savings on your travel. 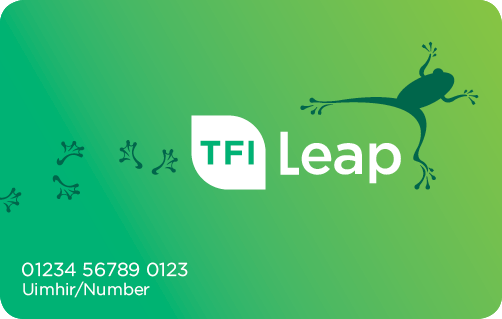 And with Leap's new Top-Up app you can do this easily on the go! So keep your car at home and your life in motion. Click the relevant City or Town on this table for our local service details.